The smallest Signia hearing aid! The Signia Ace combines the ultimate features of discretion: size, colour, automatic functionality and remote control options. Equipped with sophisticated technology, the Ace PX is perfect for anyone seeking to aid their hearing loss with the highest level of discretion. Call EarDeals today to hear the difference at your next social outing! The beautiful sound which automatically adjusts in one of the industries smallest hearing devices. The Ace Primax is a powerhouse product aimed at those who need ultimate discretion whilst handling their hearing loss or struggles with Tinnitus. The device with the assistance of an App provides the user remote adjustment capabilities. A great first-time wearer’s aid! Just set the music player up and re-hear your favourite track like you used to! Great sound in Signia’s smallest automatic hearing aid! If you struggle with the speech in noise and want to keep the greatest amount of discretion possible, then the Ace PX is perfect for you. One of the world’s smallest automatic hearing aids, the Ace gives the wearer the flexibility of remote adjustment and tinnitus therapy all in a comfortable small device that sits behind the ear. Hair that’s long enough to hide the aid simply disappears in the eye – it’s that small and discreet! Small, but powerful! Ultimate discreteness! Are you a first-time wearer seeking a nearly invisible hearing aid with automatic functionality and personal controls of your device? Well, the Signia Ace offers you that and so much more. That’s right! The device also offers tinnitus therapy, binaural technology and 32 hearing channels! Meet the smallest, most advanced Signia hearing aid! Packed with features, yet simple in design, the Signia Ace offers both the first-time wearer and current wearer freedom of automatic adjustments, tinnitus therapy, great sound and above all a size that challenges the smallest in the market! Oh and don’t forget discrete adjustments through a remote channel and volume changes! Small meets long lasting battery life! Designed to deliver optimum amplification for almost all types of hearing losses. Carat 3px is a great entry-level device with optional rechargeable capabilities in a discrete and comfortable design. Perfect for those people who want to have an easy transition of wearing a hearing device in complex listening environments. Small, optional rechargeable and very powerful! Are you seeking a great all-rounder with the ability to assist your hearing loss affordably? With Tinnitus Therapy capabilities, streaming and app pairing features to choose from; the Signia Carat is a great option for those seeing flexibility and discrete hearing aid options. So, get back on the golf course and hear that crisp swoosh of the club hitting the ball! Discrete, powerful and suitable for almost all hearing losses! High powered, technology-packed hearing aids with features from one of the leading global manufacturer signature products – Signia Carat. What more could you ask for! Don’t stress about those difficult to hear listening environments when you’re supported by class-leading technology! Rechargeable and small and with 24 hours of continuous streaming! The Signa Cellion PX has long been considered a staple in the Signia receiver in the canal range. Perfect for those who don’t want the hassle of ordering and changing batteries or for those who struggle with “fiddly components”. The easy to use charger device boasts simple charging with energy lights for battery status. Easy Rechargeable device with 24 hours streaming! 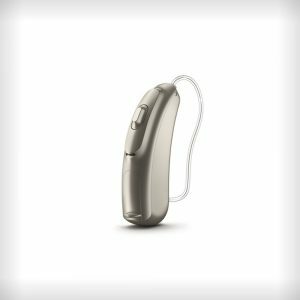 The Signia Cellion has long been considered the hearing aid of choice in the Signia range for busy people and those who struggle with dexterity in their hands when changing batteries. The inductive charger offers simple indicator lights on the batteries charge level. Call today for a free trial and hear beautiful sound again! Batteries are a thing of the past! Looking for beautiful sound and effortless re-charging well, this device is a very highly requested mid-range hearing aid. Worth a trail if you like the price. Packed with tech-features, the Cellion PX will put you back on the phone and every conversation with confidence. When Signia invented the Cellion Primax, they certainly knew who the target market was. The 7px is the top of the range hearing aid that gets you back in the conversation with stunning sound and knows you are too busy for batteries. This product is certainly one of our top starting requests for a free trial. Long battery life, compact and discreet! 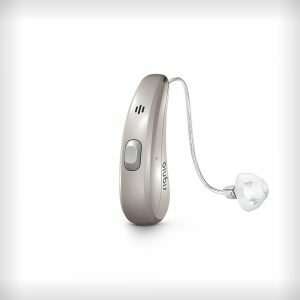 Outstanding comfort, natural sound and battery life, the Signia Pure has long been considered the go-to hearing aid for the majority of hearing losses. Now available in the lowest technology level available. Its features are available to those seeking a proven in the field hearing aid at a competitive price. Perfect for the first-time wearer with limited demands. A dehumidifier is available at an additional cost. Call today for a Free 60-day trial! Superior connectivity with the longest streaming time in its class! 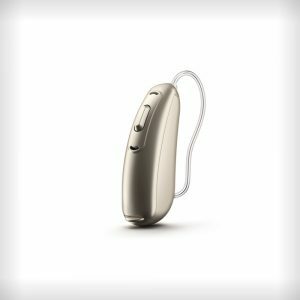 The Signia Pure 13 NX is a great entry-level choice of hearing device with unparalleled connectivity functions. Packed with the latest technology in hearing care, tinnitus solution and connectivity, the product provides the longest wearing time in streaming. Great power meets superior connectivity and the longest streaming times available in its class! Proving its function and power, the Signia Pure 13 NX can stream from various audio transmitting accessories for the longest time ever noted in the industry! The direct connectivity features together with the most improved hearing care program, and tinnitus solution makes this product the top choice for all types hearing loss. Market leading streaming times, superior comfort, connectivity and natural sound! The latest technology in natural sound, hearing care, and tinnitus solution topped with direct connectivity features make the Signia Pure 13 NX hearing device the best solution for individuals with hearing losses. Bluetooth – Stream calls, music and your favourite TV Shows! Pure 13 BT is one of the most affordable Bluetooth hearing aids on the market by one of the world’s biggest and most respected brands, Signia formally Siemens. Easily in our top three best sellers, the Pure 13 BT provides direct Bluetooth streaming of iPhone calls. It doesn’t stop there – the device also uses smartphone motion detection to track sound sources around the wearer and focus on key sounds while moving. Finally, take control with wireless connectivity to phone apps for volume and channel adjustments. Bluetooth streaming for calls, TV and music! Do you have a busy and demanding job or simply living a very busy social lifestyle? Well, the Pure 13 BT (Bluetooth) is perfect for individuals who can’t live without their phone, TV or music. With direct Bluetooth connection to iPhone, you are back in the conversation and will not miss a thing. At EarDeals we find the Pure 13 BT as one of our most popular hearing aid. We love how the device sounds and how seamless the connectivity, adjustments and use is. Trial the device today for free within 60 days to see what we mean! The pinnacle of Signia’s research and development in hearing aid technology can found in the Pure 13 BT 7PX! This device is packed with Signia’s cornerstone technologies as well as Bluetooth capabilities for smartphone, TV and MP3 direct streaming. Perfect for the busy worker or those who live an active social life and require near-perfect hearing and support with phone use. Call EarDeals today to start a free, 60-day trial. Remote controlled through app, long battery life and a variety of accessories! Discreet housing design and outstanding performance in challenging hearing environments. The Signia Pure 2PX offers above-entry level options for great deal seeking hearing aid wearers! Full connectivity via EasyTek accessory, optional rechargeable and long battery life! Tinnitus therapy, audio, rechargeable and app control options (ask your clinician for further information). What more could you want in one of the world’s leading natural sound technologies in sound amplification? The most compact, full-featured hearing aid with direct streaming capabilities! The latest technology from Signia, Pure 312 NX hearing aids come in features like direct connectivity for streaming and patent own voice processing system for the most natural sound. The most natural sounding own voice in all of your conversation is what you can get with the latest technology from Signia’s new product line Pure 312 NX hearing aids. Together with direct streaming features and excellent sound quality, the product brings you the best hearing experience since hearing impairment. Direct connectivity for easy streaming and listening with different accessories and gadgets make the Pure 312 NX hearing aids a top choice for everyday hearing loss solution. The revolutionary Own Voice Processing system let you experience the most natural sounding conversation possible. Small, powerful and with great battery options! Long considered by Signia as their foundation leader. The Pure 5px is a mid-range feature packed hearing aid suitable for almost every hearing loss. With the opportunity to add rechargeable capabilities, app control and audio streaming, the “Pure” is a perfect hearing aid for those seeking comfort in choice. The hearing aid comes standard with the Signia tinnitus therapy technology feature. Beautiful sound, compact design and filled with optional extras! Class-leading versatility for all environments and the flexibility to add additional features such as rechargeable capabilities. Words can’t do this high-end hearing aid justice. The quality of sound needs to be heard to be believed in. Call EarDeals today for a free no obligation 60-day trial! The Silk 2PX offers a great first-time option. Although considered an entry level aid, the Silk PX really is a versatile, ‘place in the canal and forget’ product. We love the Silk at EarDeals because the product caters perfectly for the busy office worker or mum on the go. It’s time to start enjoying the great outdoors with friends; maximise those long and important business meetings and step back into your music like never before. No matter how you live your life, the brand new Signia Pure Charge&Go 3NX is the latest from Signia combining Bluetooth and rechargeable hearing aid technology for a cheap hearing aid price! 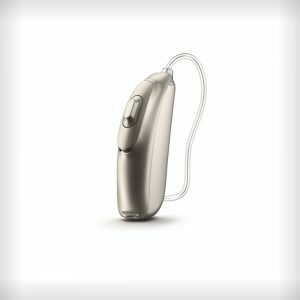 The Signia Pure Charge&Go 5 NX hearing aid is the newly released hearing aid, from one of the big global manufacturers of hearing aids. 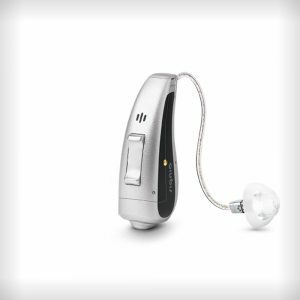 Combining rechargeable capabilities and Bluetooth, this device combines sophisticated technology in a small hearing aid. Step back into your environment and hear life as nature intended at a fraction of the usual hearing aid price! This little powerhouse Bluetooth hearing aid is the latest device released from global hearing aid manufacture Signia. Boasting rechargeable long-lasting lithium batteries, Bluetooth connectivity for TV, phone calls and music. The Signia Charge&Go 7NX is a device for busy and social professionals. Great hearing aid prices! Great for active first-time wearers! The Silk 1PX is a great entry-level hearing aid for people wishing to dip their toe into wearing hearing aids. Versatile, easy and invisible to the naked eye, the silk matches perfectly to a busy and active lifestyle wearer who needs help 25% of the time hearing. Pop it in and go play a round of golf! Introducing the Signia Silk 5NX. The mid-level Silk Nx hearing aid – Now the world’s smallest ready to wear Completely in The Canal (CIC) hearing aid! 20% smaller than the previous Primax Signia model, the Silk 5Nx hearing aid is virtually invisible at one meter and is a perfect option for those seeking an invisible hearing aid. 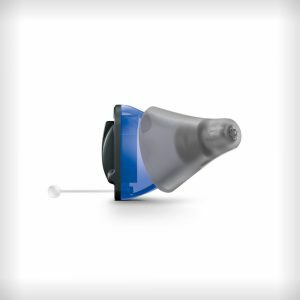 With multiple fitting options in a number of comfortable silicon size domes in open and close vented solutions, this hearing aid takes comfort to the next level. The new Signia Nx technology platform applies class-leading sound in one of the worlds most invisible hearing devices. Call and book a 100% free fully comprehensive hearing test on a free 60-day hearing aid trial today to hear the difference. Please be advised that the Silk 5Nx is also available in a higher and lower hearing aid technology model. 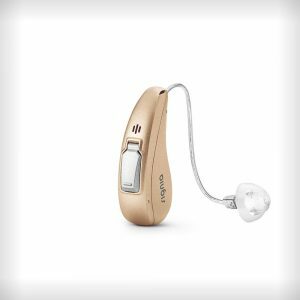 The Signia Silk 3Nx technology level is a more affordable price option and the Signia Silk 7Nx provides a better hearing ability in the highest Signia technology level. Introducing the Signia Silk 7NX. The top-level Silk Nx in the Silk range. 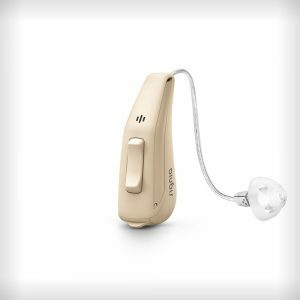 The 7Nx is the premium level in the world’s smallest ready to wear Completely in The Canal (CIC) hearing aid! 20% smaller than the previous Signia Silk Px range. 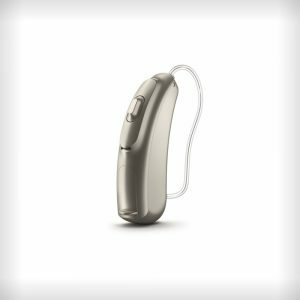 The Silk 7Nx hearing aid is basically invisible and a great solution for those seeking a discrete, no-visible hearing aid for people who don’t want others to know they are wearing a hearing aid. The Silk 7Nx has eight silicon dome options in both open and close vented domes. 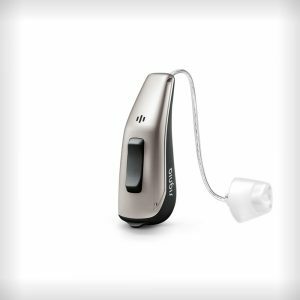 The Silk 7Nx hearing aid takes the new Signia Nx technology platform and applies it to a class-leading device ready to wear, completely in the canal hearing aid. Call to book a 100% free fully comprehensive hearing test on a free 60-day hearing aid trial today. Phonak’s smallest aid – Great value! The Belong 10 is the smallest hearing aid by the world leading brand Phonak. This aid is designed to handle speech in noise with ease and focused capabilities in noise or quiet situation. Great for those who just need a little help and live an active lifestyle! Phonak’s smallest aid – Perfect in noise! Boasting three key features: Calm in Noise, Speech in Noise and Comfort in Noise – this hearing aid is designed to get you back to that active lifestyle you once had and back in the conversation at a café you have been avoiding! Great with music and understanding speech in noise! Are you missing those classic tracks? At EarDeals, we celebrate our love for music daily in the office, so we think you should too! This hearing aid is perfect for music lovers seeking clarity in their favourite songs. The device is programmed for clarity in noise – perfect for a night out even with the background noise! Incredibly small and packed with features! Don’t take this aid too lightly! You have found the smallest superstar from a global leader. Great in noise standard, with programming that enhances music, it also gives clarity in noise while driving and directionality focus to a particular sound source. You will enjoy next to perfect hearing. Ask for a free trial. You won’t be disappointed! Perfect for large hearing losses! A great place to start if you have a huge loss of hearing. This is a mid-range alternative for those who need a bit more power and longer battery life. This aid also targets speech in noise and focus on sound sources. So, if you like to visit the local RSL on a Saturday afternoon for a catch-up, trial this aid free for 60 days! So, you have been told you have a huge hearing loss and you need a lot of power. You still have a busy lifestyle and you enjoy your music and the odd social outing – Well, this aid is perfect for you! You can extend battery life and enjoy a great range of colours to match your hair or skin tone. The Phonak has long been considered the measuring brand for many of the world’s largest manufactures of hearing aids. The Belong 312 hearing aid is no different. The product is a great entry-level for many wearers and one that will certainly change your quality of life! Quality hearing aid at a very affordable price! A mid-level product that is suitable for many first-time wearers. This aid is the foundation for Phonak’s long-standing success due to the product’s versatility in many different listening environments. Get back on the golf course, around the boardroom table or simply in front of the TV to watch your favourite shows! A small hearing aid from a world leader! It may look big on the screen, but make no mistake, this is one of the smallest and most versatile choices for hearing aid wearers in the market. A great starting point for those seeking a device that matches a busy, diverse and active lifestyle. High-end hearing technology in a small world leader! If you haven’t heard of Phonak, maybe you haven’t visited the right hearing aid clinic yet! A class-leading hearing aid, packed with features and versatile for many hearing losses. A telecoil is a tiny coil of wire inside a hearing aid that picks up the transmissions of sound to help improve the wearer’s ability to hear both by phone and within public places with loop systems. These places often include churches, airports, theatres and government-owned or mass traffic locations. An excellent feature for someone who is routine driven and goes to public spaces regularly. A Telecoil effortlessly connects to the radio wave outputs of many public systems such as in churches, airports, libraries and museums. Alternatively, with the help of assistive listening devices, a telecoil will aid TV and phone use for the wearer. 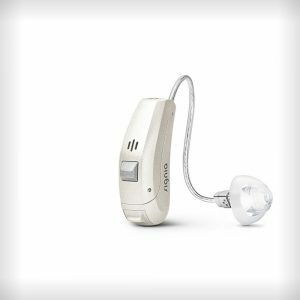 Hearing Aid with Telecoil + Advanced Features! 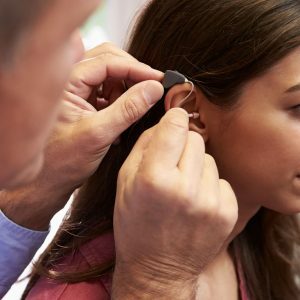 Aside from the Telecoil feature for direct connectivity to Phones, TV and public sound systems, this hearing aid offers advanced features for wearers seeking greater clarity with Speech in Noise, music listening and Noise Management. This product is perfect for individual who wants advanced technological features with the assistance of a telecoil. 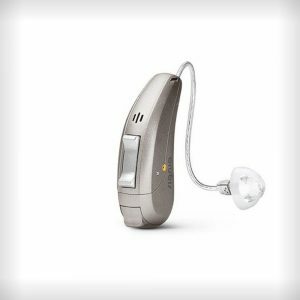 A premium level hearing aid designed to accommodate active and demanding lifestyles. Whatever the environmental challenges you face, this hearing aid will accommodate all your needs. Boasting all of Phonak’s high-level features such as directional focus together with whistle, noise and wind block program. You will find comfort in some of life’s most challenging listening situations. Entry level Hearing aid Bluetooth capabilities at a market leading price! This product is a must trial aid (for free) for anyone who lives a busy lifestyle and needs to take calls on the run or simply needs the advanced capabilities of improved hearing in difficult environments. Call today for a free trial! Bluetooth calls Hearing Technology with iPhone and Android! Belong Direct is arguably our most commonly requested free trial aid. Also, the most purchased. Besides the sound being world class and near perfect, the connectivity to all things life is astounding. When someone calls you, just touch the back of the aid and you’re connected. That’s right, leave your phone in your pocket – you have just experienced a handsfree calling! Are you a chatterbox tech-savvy hearing aid wearer? 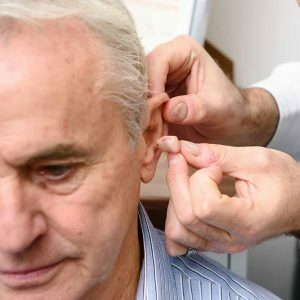 Having tried this hearing aid on numerous customers, we can hand down tell you this aid is cut from a much better jib. We are taking phone calls at the touch of a button. Hands-free, yes that’s right! Leave your phone in your bag or pocket. The internal speakers will deliver clear phone conversation, TV and MP3 through Bluetooth. If we could pick any device, this is by far our favourite. A must trial aid if its features raised your eyebrow! Free 60 day trials available! That’s right, hearing aids with batteries that regularly need replacing are now a thing of the past. At EarDeals, we love this range of devices for people with dexterity issues and those who struggle to replace small fiddly batteries. If you care for a loved one, this range will cut down your management time in re-ordering batteries… Simply plug the aids into their cradle overnight and enjoy the simplicity! Say Goodbye to annoying batteries! 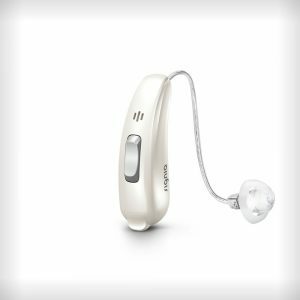 The Phonak B-R is a great rechargeable hearing aid that gives people with dexterity issues and time poor lifestyles, the great ease of use and convenience. This rechargeable device is a great mid-range product for wearers who seek clarity in noise and busy social occasions. The device’s advanced programs are positioned perfectly for active people who demand features that account for difficult environments such as wind, noise, and direct listening. 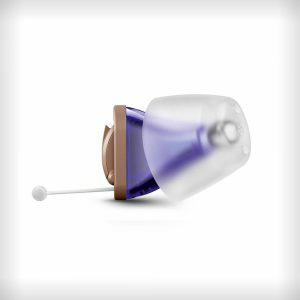 A very popular hearing aid and one of our most commonly trialled device. Aside from the benefits of easy recharging, this hearing aid provides limitless support across all lifestyle and environmental demands. 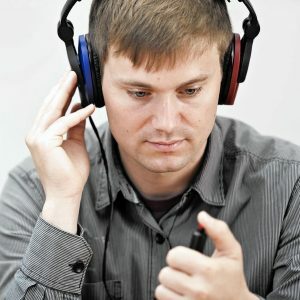 At the premium end of the spectrum, wearers can expect vast improvements in their hearing capabilities instantly.